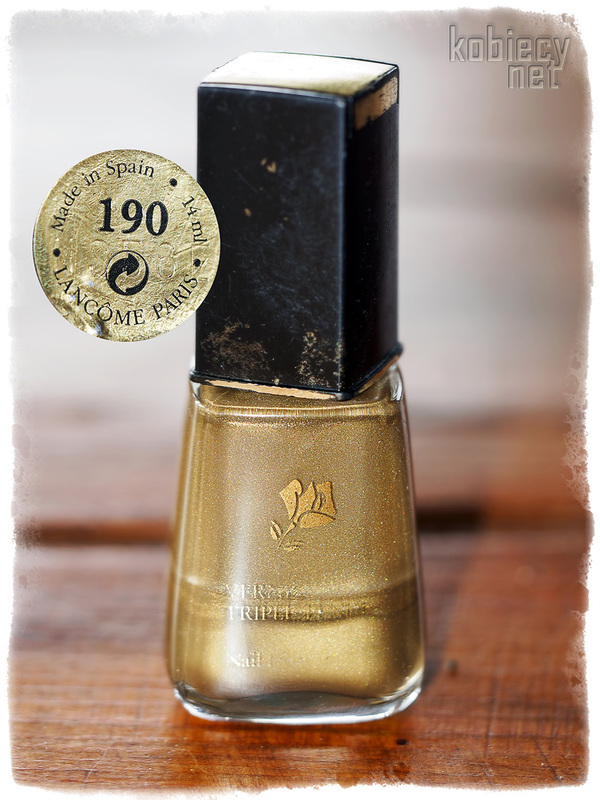 Find and show on the blog the oldest nail polish in Your collection! It’s educational challenge. 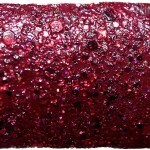 We – I mean the nail polish lovers – know that the nail polishes even after many, many years are good for painting. Doesn’t matter that producer says something else. The nail polishes are perfect to use long time after expired date marked by manufacturer. 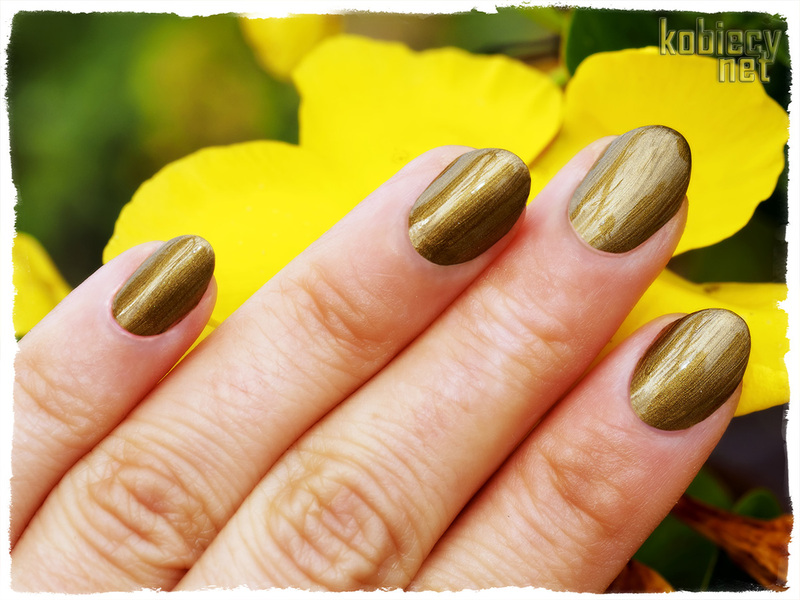 But many, non nail polishes lovers – don’t know about this. So, it’s definitely educational challenge 😉 Of course I start this challenge. The oldest nail polish in my collection it’s – shown in the picture above – Lancome No. 190. I don’t remember, when exactly I bought this nail polish, but it was between 1995 and 1997. So this nail polish have 17, 18 or even 20 Years. I was pretty sure, that this nail polish will be a little bit thickened, so I was very suprised, cause he was very thin. Maybe was thin from beginning, but unfortunately I don’t remember. For this manicure I have chosen reds. It’s the color that arouses extreme emotions. Red is the color of love, but the color of aggression also. Valentine hearts are reds and rag to a bull is red, although the bulls can’t see red color. But people see and they believe that red provokes aggression. Red stimulating our senses and adding energy. I like red but I started to paint my nails in red just recently. For this manicure I have used two nail polishes: Picture Polish – Arabian and Powder Polish – Beginning To Look A Lot Like Xmas. Red is difficult to do a picture. Perfect reproduction of the red color in photos is almost mission impossible. I have tried to reproduce the colors accurately, but in reality they are a little bit darker. Above and below photos are the closest to reality. 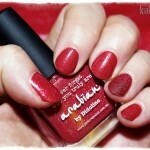 On most nails I have used Picture Polish – arabian. 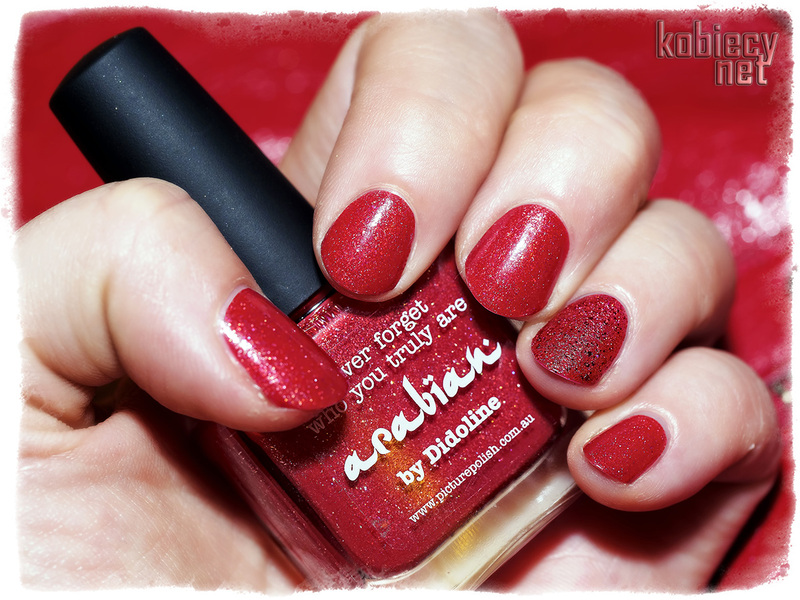 Picture Polish is Australian indie brand. 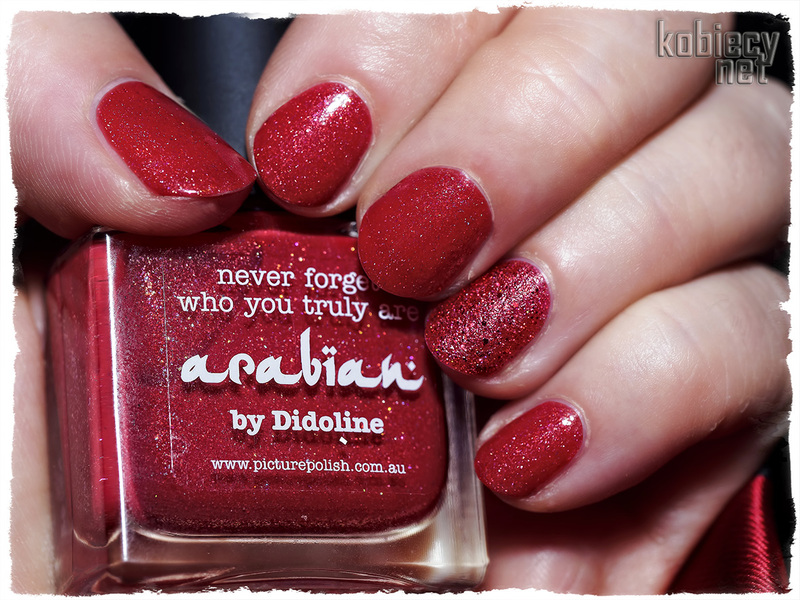 Arabian is nail polish created by Picture Polish in cooperation with female blogger Didoline. 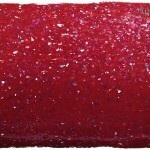 Arabian is beautiful crimson red scattered holographic nail polish with glass flecks and gold sparks. This nail polish is very easy to remove. On nails in my ring fingers I have used Powder Polish – Beginning To Look A Lot Like Xmas nail polish. 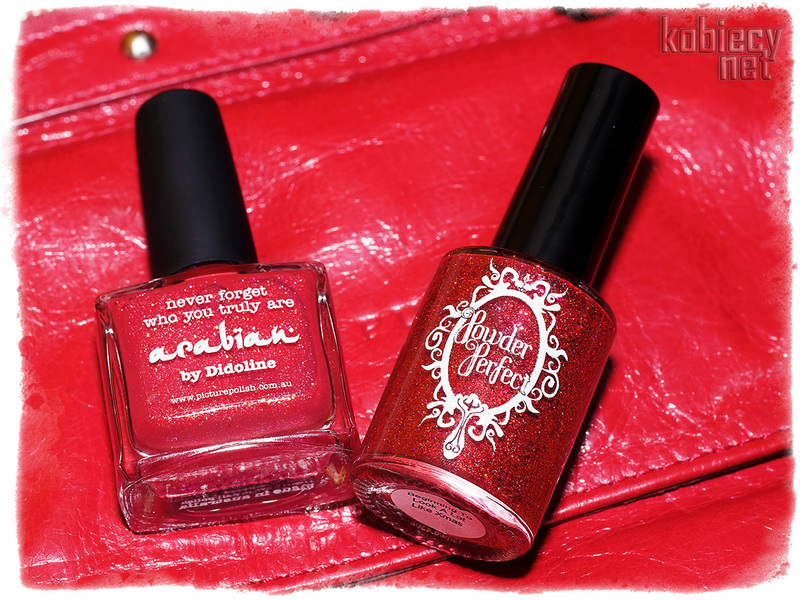 Powder Polish is the Australian indie brand also. 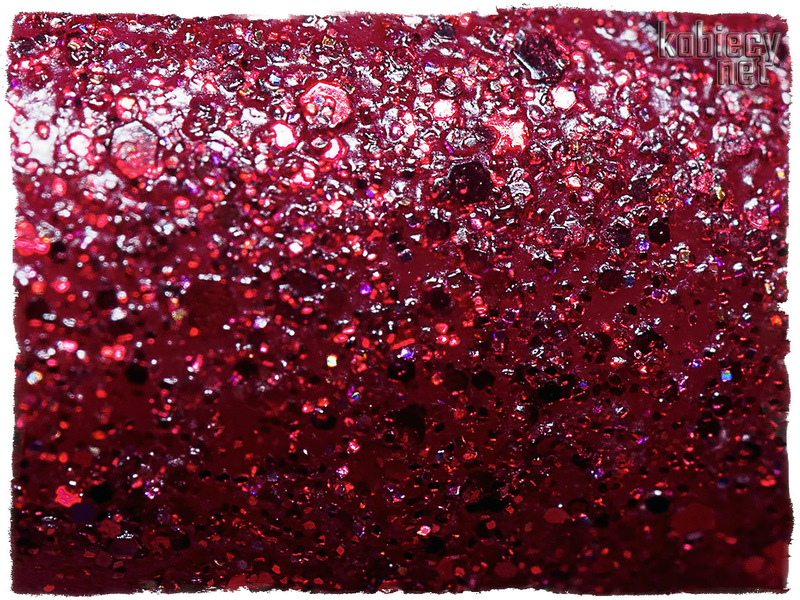 Beginning To Look A Lot Like Xmas is gorgeous red glitterbomb with glitter of different sizes and different tones of reds plus small touch of gold holographic particles (unfortunately, it’s difficult to see holo on my pictures). In reality this nail polish sparkles much more than on my photos. Beginning To Look A Lot Like Xmas has a textured finish, so can be used without or with top coat for textured or glossy finish. I have used both nail polishes on this manicure without top coat. Like every glitter this nail polish isn’t very easy to remove, but not so difficult as many others glitter. 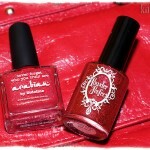 The formula and application of both nail polishes is very good. I have used 2 coat for full opacity. Both nail polishes are long lasting, I had this manicure 5 days and it’s a record on my nails. Below macro shots of red beauties. 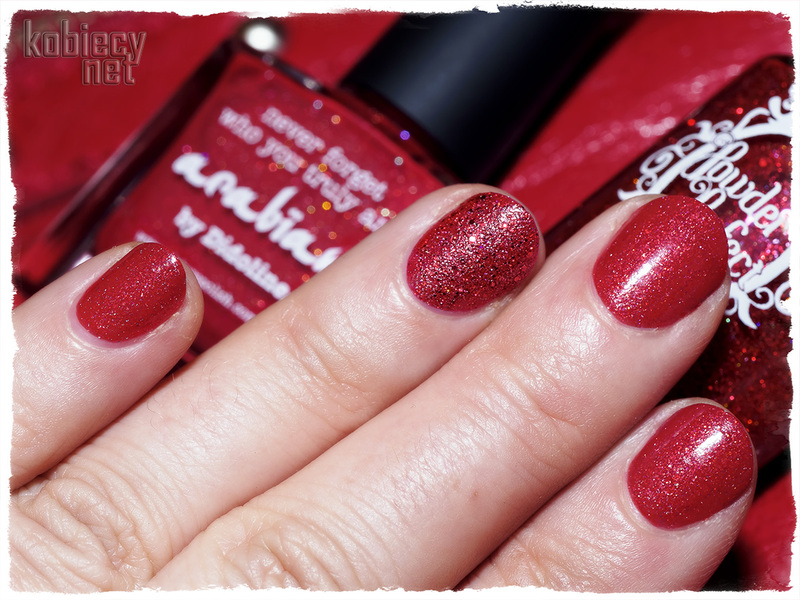 I bought Picture Polish – arabian & Powder Polish – Beginning To Look A Lot Like Xmas on The Nailista Shop.